It’s important to optimize your hiring practices as a new manager, since hiring mistakes can be costly in terms of productivity, reputation, and the bottom line. This then falls into the hands of the hiring manager to make the final decision on who will eventually become a part of the team. But this is not always an easy choice to make. The only information that the interviewer can go off is from the covering letter and resume, before they see the candidate in person. If you think that it is as simple as it seems, visit this site to find out what the hiring process actually entails. It may also help candidates prepare for any upcoming interviews they may have. But, as a recent Harvard Business Review points out, it’s hard to excel at hiring practices if you’re new because hiring is done infrequently enough that you’ll have a learning curve with little practice opportunity to get better. All the more reason to know some best hiring practices, then, as well as some things not to do. The first best practice is to ensure that the hiring activities follow business goals and objectives from the beginning. When you or human resources sit down to craft a job description, map the desired skill set and qualifications to what the company needs from your department, as part of your department’s business strategy. 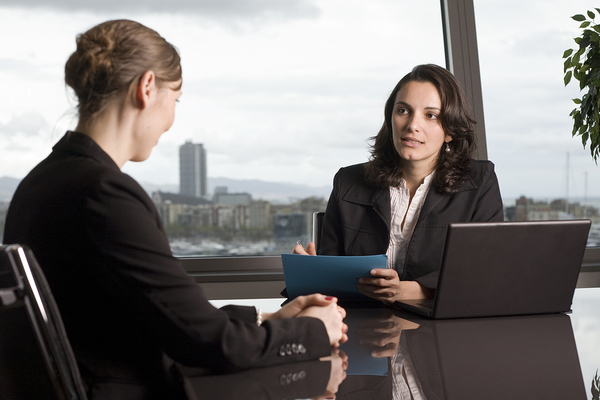 Then, as you interview, make sure you are interviewing with an eye to assessing these skills and qualifications. The interview should be conducted to realize the profile you created in the job description, in other words. Managers who don’t set forth a list of skills and capabilities in the job description are all too likely to fall back on emotional reasons for making a hire. Some of that is fine — fit with you and your team is a reasonable qualification. But if taken to an extreme, you can end up with someone you’d like to have after-work drinks with, but who is not necessarily the person who can bring your department closer to its goals. Assess employees for how they fit the skills and qualities in the job description. The second best practice is to get a sense of the qualities the top performers in your firm have. Forbes recommends that managers develop a profile of top performers. Such a profile provides a way to think about and measure the people who come in for interviews. Do top performers in your company show a high level of innovation, for example, or are they conservative in following the company’s lead? Do they cross-train in multiple departments or grow within one? While you can certainly assess and choose interviewees based on other skills and qualifications, it’s good to have a baseline metric of top performers as one hiring tool. In addition to the two best practices above, HBR points out that hiring managers need to avoid emotional reactions in the hiring process that could impede their business leadership. The first? Don’t hire with the goal of offloading an annoying, boring, or otherwise negative task that you currently have to do. While this may be a human response, it can set your group up for failure. Why? Well, first, chances are a job like this will not be the greatest. You may have long-term difficulty retaining your hires. Second, you may not be able to help your own negative view of the job, and it may grow into an unjustified negative view of the person. Use hiring as an opportunity to grow your own skills using best practices and avoiding emotional responses.